Solar Selections has again managed a tender for a 50kWp Commercial Solar Installation procured by a Poultry farmer in the North West. The System was commissioned a week before the cut-off for the old Feed-in Tariff rate of 32.9p per kWh. The client approached Solar Selections with little understanding on Solar PV and initially just wanted to learn about the technology. The client was assigned his personal Commercial Solar Selections Broker whom kept with the client from day one. As Solar Selections is a broker and not an installer, we can comment impartially on all components. This was a helpful tool for the client as they stated that they had already contacted a number of installers and that they had little idea one what panels and inverters were the most suitable for their needs. 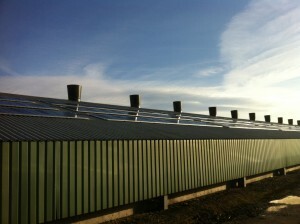 A Solar Panel solution is ideal for a poultry site. The situation of a poultry site is perfectly suited to a PV array. The roof area is substantial and the structure more than capable of handling the weight of the system (20kg per panel). As can be seen in the photo above, due to the abundance of roof space the installer was able to space out the panels, increasing shade tolerance and the ability to dissipate heat (solar panels work better when kept cool). 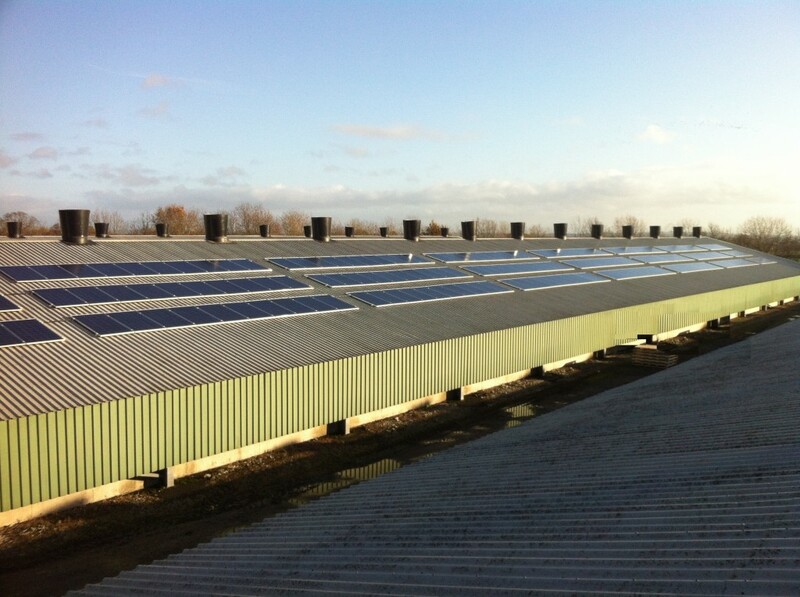 Further to this the energy demands of a poultry unit match the performance of the panels. 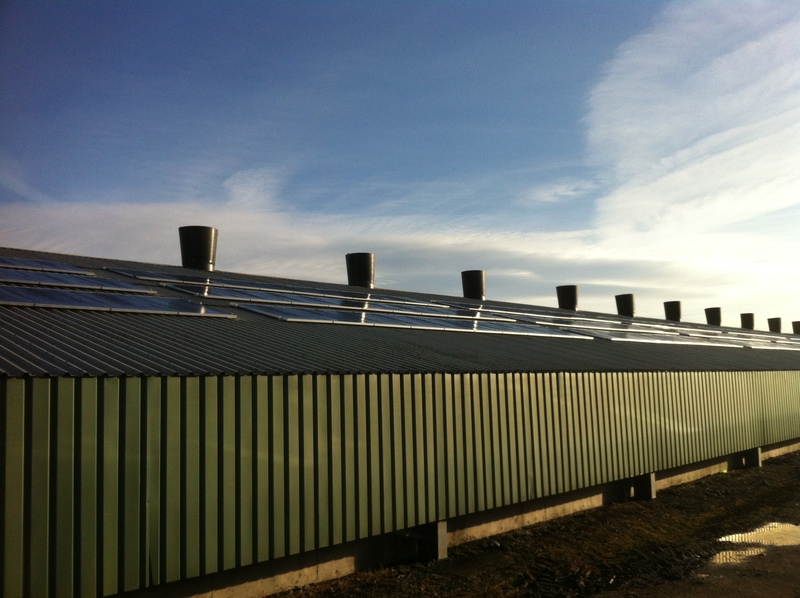 For example, on a hot sunny day (when the panels are producing most of their power), the poultry shed’s ventilation system will be running at full capacity. With the solar system being at maximum output during these times, big savings can be experienced from utilising the power on site as opposed to purchasing expensive black electricity. Once the client had received their feasibility proposal, constructed by their personal broker, he informed Solar Selections that he wished to proceed with the project. Having gathered all of the relevant information we approached up to seven of the local installers on our network who were capable of completing this large installation. Each installer was provided with the sites situation and asked to provide an indicative quote for the installation. These were then consolidated and presented in a final proposal to the client. Over the course of a couple of weeks Solar Selections and the customer discussed the packages quoted and he finally came to a decision. The selected installer was then introduced to the client and the site survey was completed. From here the client finalised terms with the Installer. However Solar Selections stays with the client up to and after installation offering support where required. - Positive Power Tolerance, ensuring system output will only be better than stated. - Ability to export power over three phases. - System information can be accessed from anywhere in the world. - Text message and email alert system for system malfunctions. - Providing 17% of the sites electrical demand. - Payback 5 – 6 years. Solar Selections’ Australian parent company Solar Choice, has a unique financial package called an Operational Lease. 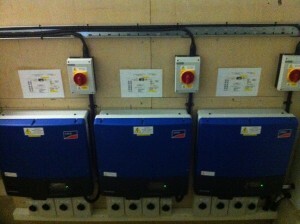 The Solar Choice Operational Lease is currently being prepared for the UK market. Once finalised Solar Selections will have a unique and exclusive finance package for commercial clients. The benefits of such as setup is that an individual will remain in a cash positive position* from day one, even at the new Feed-in rates for up to 250kWp. Please contact Solar Selections to discuss this attractive procurement option today. *based upon proposed feed in tariffs and the package transferring to the UK as expected. In addition, if you are looking for a free and informative solar quote comparison of up to 7 PV installers, simply fill out the “Request a Solar Quote Comparison” form to the right (for domestic clients (<10kWp)). Once completed you will instantly be emailed a quote comparison and your personal Solar Broker will be in touch to offer help if required. I can second this. Solar Selections has recently helped us to install a 10 KW system on our barn and I am delighted by the professional service and personal touch of Solar Selections.